Besides back to school, September is also renewal-through-shopping time. I’m very much a material girl, but this fall’s clothes aren’t really calling out to me, so I’m focused on the house. There are a number of BIG exterior projects that we need to take on soon (chimneys!) but this doesn’t stop me from looking around for interesting interior items. 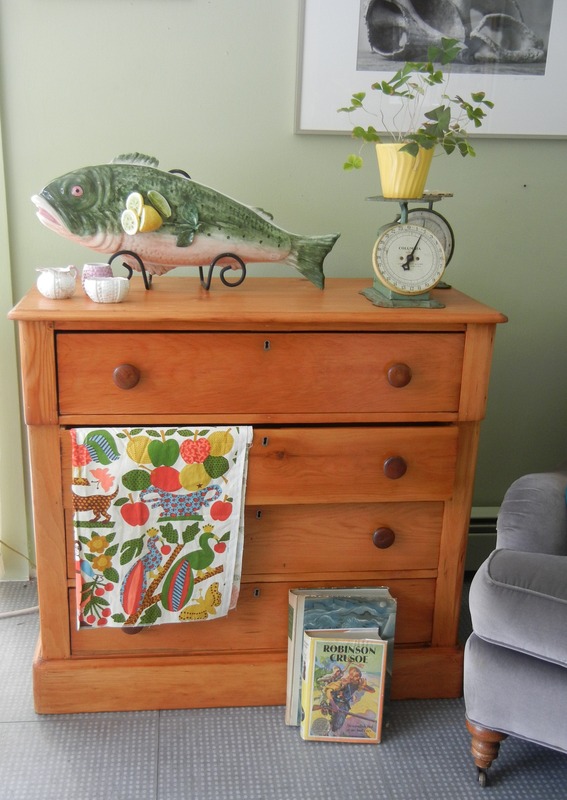 Fortunately, I’m a big believer in consignment/resale shops, and we have some really good ones on the North Shore of Boston. I love fine antiques, but that’s not what I’m writing about here; I’m referring to furniture that’s anywhere from a hundred to twenty years old (and generally far better made than anything in new furniture stores today) and decorative and household items of a similar vintage. The twentieth century produced tons of stuff, and we can all save money and the planet at the same time by buying it. 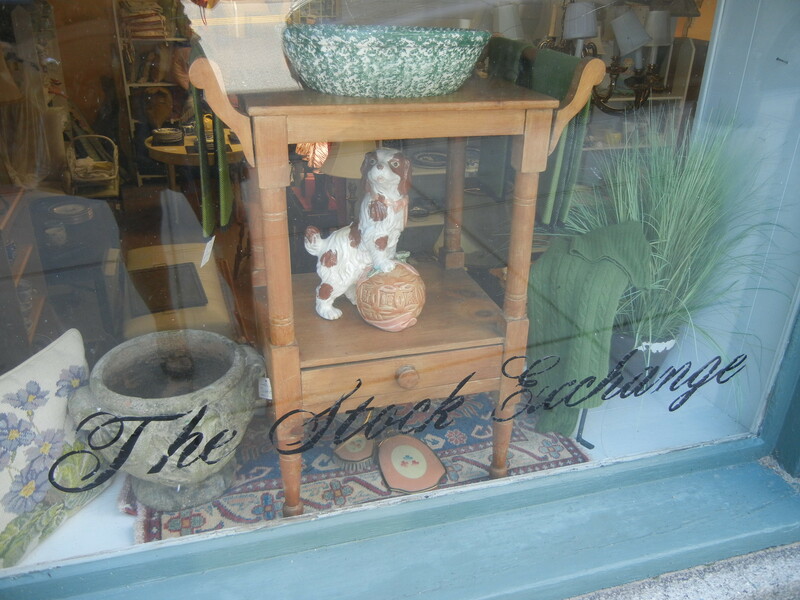 In order of vintage, the three shops that I check in on every month or so are: the Stock Exchange in Manchester-by-the Sea, Once & Again here in Salem, and Grace Sales in Marblehead. New (or old) things come into all three stores on a regular basis, and they all have different strengths in their inventory. 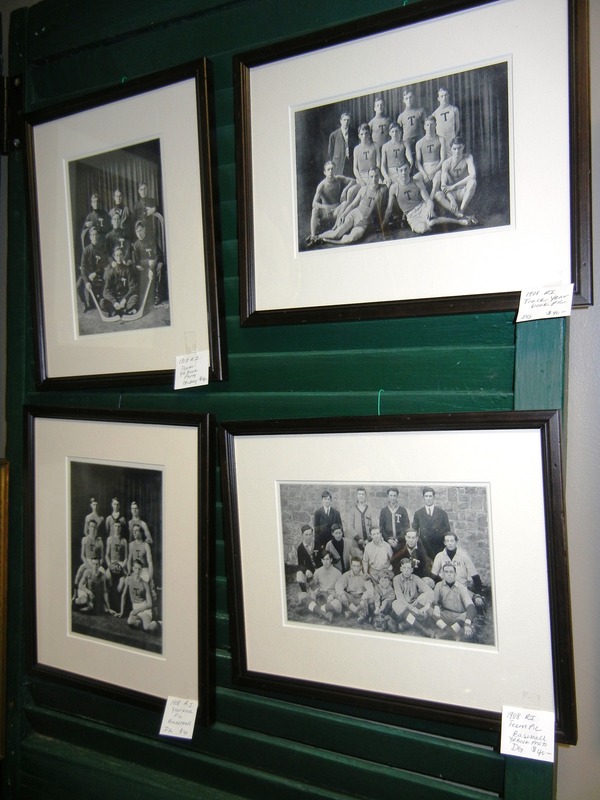 The Stock Exchange (3 Beach Street, Manchester-by-the-Sea) has been around for decades and is always worth the trip. 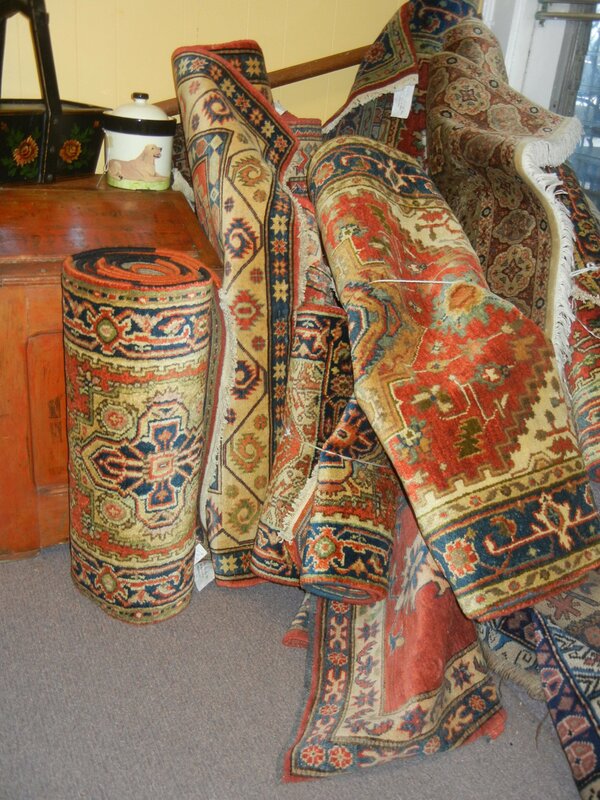 You can find furniture and decorative accessories as well as clothes, and there’s always a pile of perfectly worn oriental rugs in the corner. 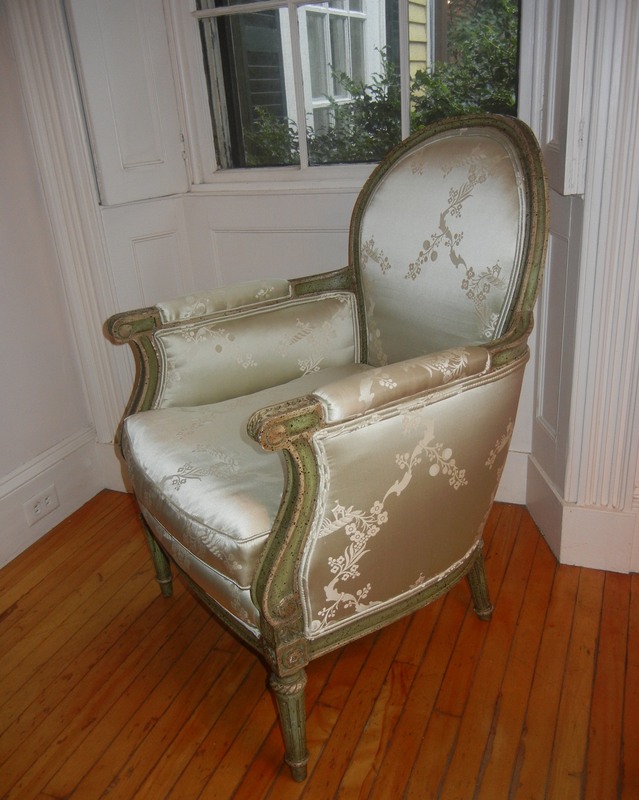 And here is my very favorite purchase from the Stock Exchange: a not-very-old chair made of mahogany according to my upholsterer, purchased for $100, and re-upholstered in a beautiful silk fabric that cost a lot more. Once & Again (45 Bridge Street, Salem) opened in Danvers five years ago and then moved to Bridge Street last year; unfortunately the street has been under construction ever since! 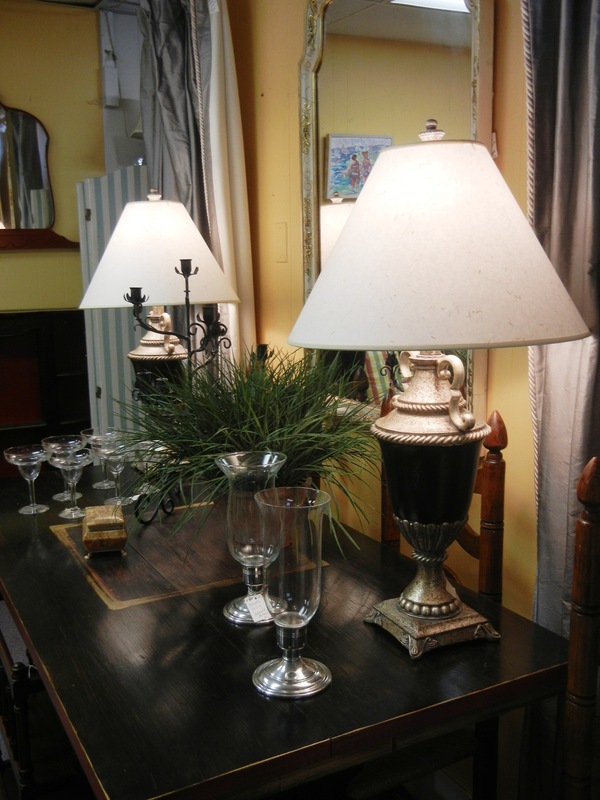 Nevertheless, it’s a great place to stop by occasionally if you are in the market for mid-century tabletop items, linens, lighting, and odd pieces of furniture; we bought a dry sink there last year for use as our outside bar. 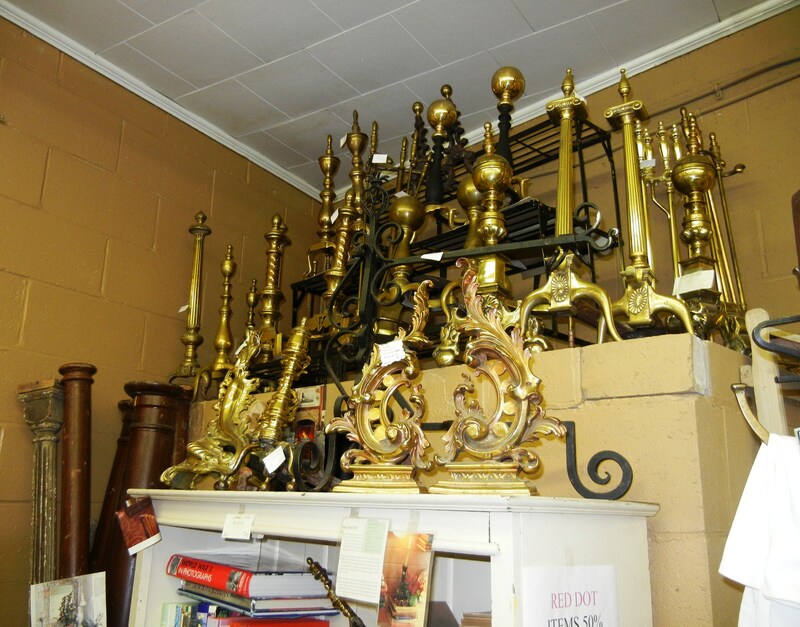 There is always good kitchen stuff there, as well as ironstone serving ware, and fireplace accessories, not antique but without that shiny lacquered brass look that new items have. 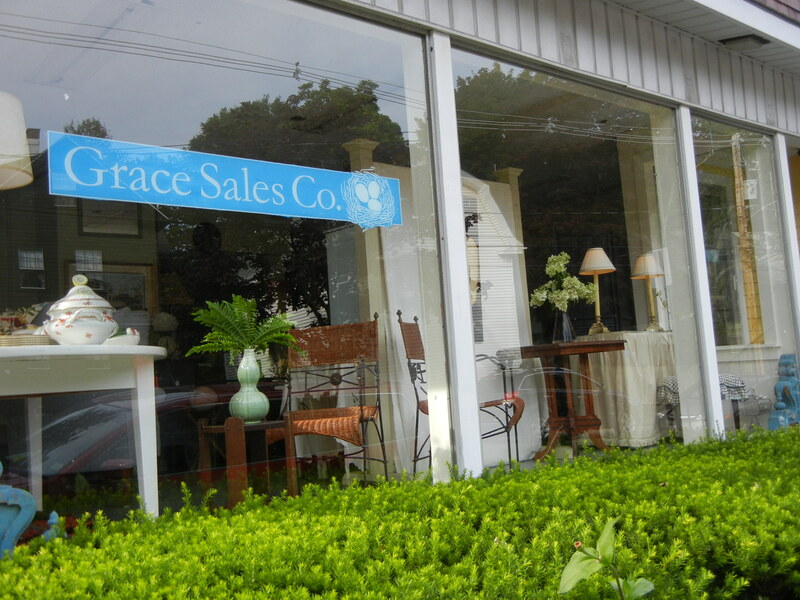 Grace Sales Company (185 Pleasant Street, Marblehead), a consignment shop for furniture and decorative accessories, opened just last year. 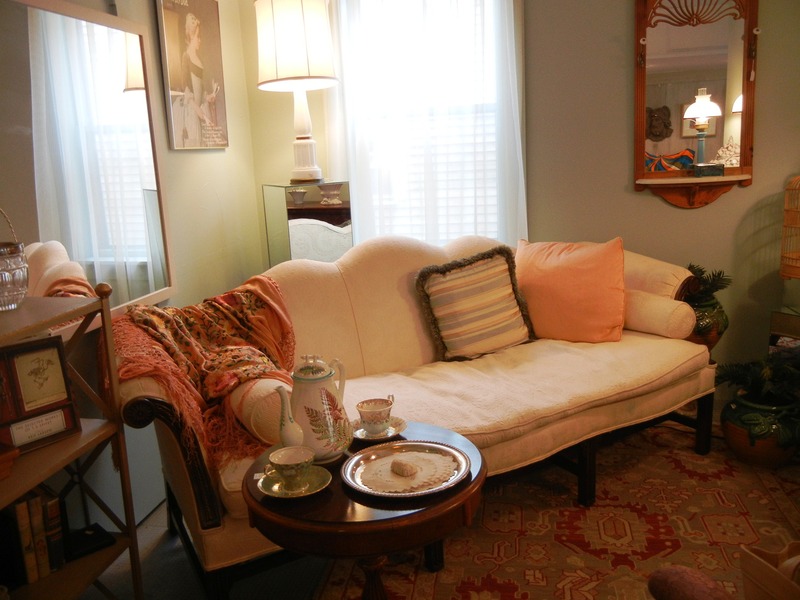 There are serious bargains to be found here on some very serious furniture; the beautiful Henredon couch below was for sale for just $550 last week. 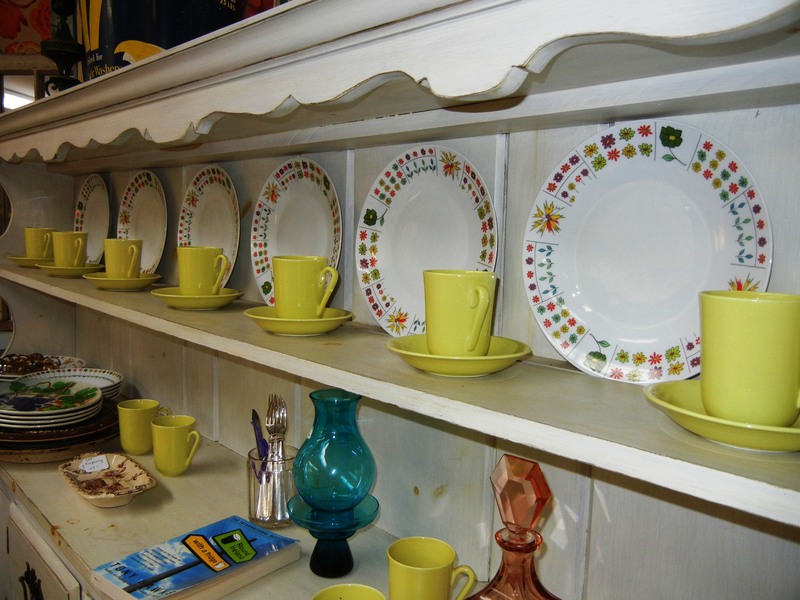 The owner likes to make artful displays throughout the shop (actually all of these owners do, as you can hopefully see from the pictures), and was particularly proud of her juxtaposition of fish and scales atop a really nice little dresser, as well as that of Pucci-designed Rosenthal china from the 1960s. 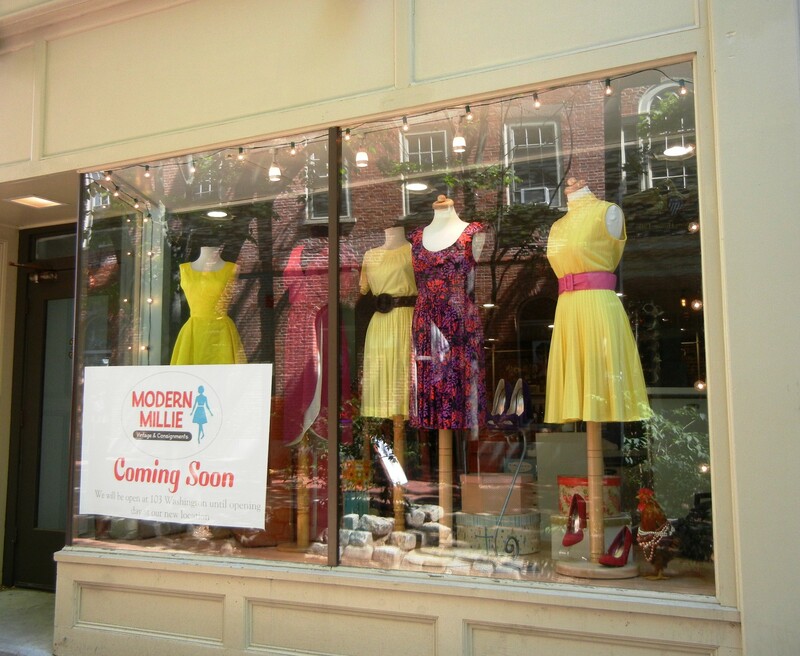 An addendum about gently-used clothing: Modern Millie Vintage & Consignment, Salem’s (and Newburyport’s) great vintage shop, has just moved from its Washington street location into a much bigger space at 3 Central Street. 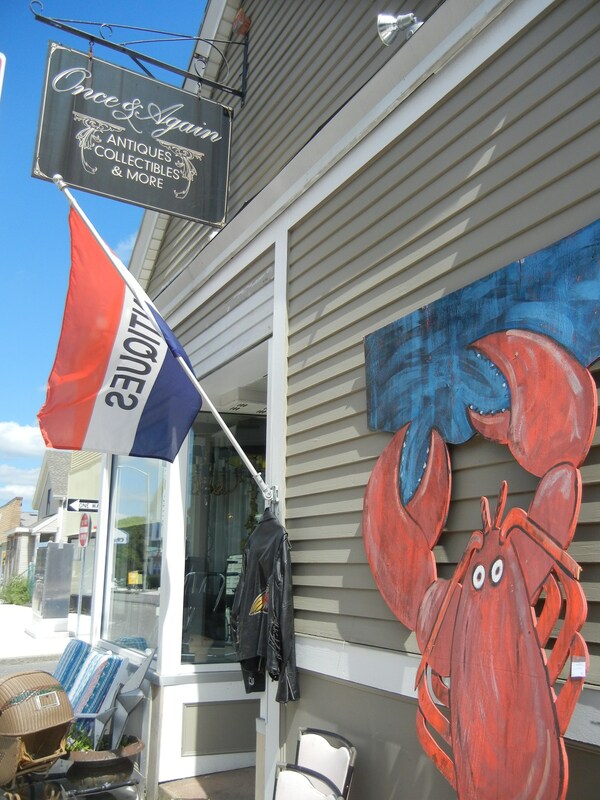 This is another store that is well worth regular visits.